Rigor Hill Press, 9780990949961, 294pp. When Lil' Jim moved back to Memphis, the children stopped coming by to play. While he blamed his isolation on religion, everyone else knew it had everything to do with money, politics, and race. This third book in the ten-part Your Winding Daybreak Ways series begins where author Gary Bargatze's second novel, Happy Hollow, leaves off. Lil' Jim is living with his Uncle Aaron and attending a segregated grammar school. The principal is a true visionary, instilling "life skills" in his African-American students--teaching them to envision a brighter future. 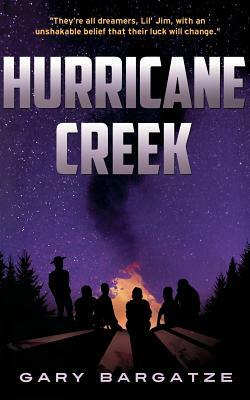 Hurricane Creek depicts the rise of a biracial orphan from the Memphis rail yards to the doorstep of the governor's mansion in Nashville. The novel follows the young boy's transformation from "Lil' Jim" to "Hurricane Jim"--from hobo to West Point cadet; from military officer to entrepreneur; and from wealthy businessman to skilled politician.